The Canadian media have been very busy in the last few days trying to keep up with the story about members of Canada’s Senate making suspicious expense claims. 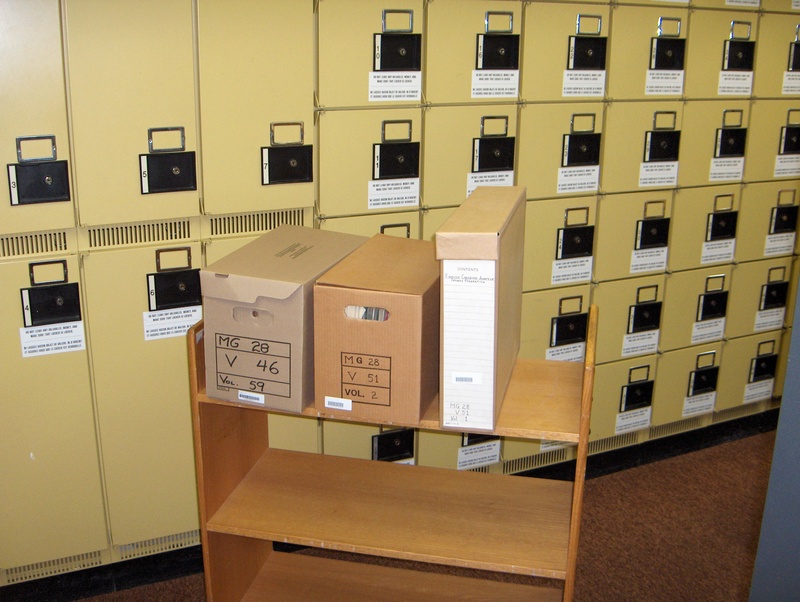 However, at the same time, another dispute involving governmental expenses has been largely overlooked – the one involving Daniel Caron, the head of Library and Archives Canada (LAC). This past week, he stepped down when it was discovered that he billed taxpayers for the cost of Spanish lessons he claimed were necessary for him to be able to do business at international conferences. Sadly, this is the latest in a string of events at LAC which just reinforces the impression that Canada’s current federal government doesn’t care about research – or at least that it only cares about research when it doesn’t like the results. Recently, LAC has gone through a rough couple of years, with funding restrictions leading to decreased in-person service hours, staffing cuts, and reductions or cancellations of services provided to other organizations – at a time when the government apparently has enough funds for other things, like an advertising campaign for a jobs program that doesn’t yet exist. Caron – who is trained as an economist, not as a librarian or archivist – initiated an ambitious digitization project, which was criticized as being far too big to be feasible. The digitization project also took funding away from acquisitions and other essential functions of an agency charged with “preserv[ing] the documentary heritage of Canada”. Some of my own research has involved material from the LAC archives in Ottawa. My impression from using LAC’s archival services, and from talking to other researchers who use the archives regularly, is that LAC has some extremely dedicated, knowledgeable and helpful staff members. However, access to the archival material is controlled by a set of rules that are increasingly frustrating and discouraging to users, and which make it very difficult to do the random explorations that in archival research often result in the most rewarding discoveries. When I was trying to find more information about Caron’s resignation, I stumbled across another shocking piece of news involving LAC that was also largely overlooked. Earlier this year, LAC instituted an employee “code of conduct” restricting what its employees can do or say outside working hours. Among other things, the code requires employees to get managerial approval in advance before they do any teaching or give speeches at conferences. A correspondent informs me that other parts of the federal government have had similar codes of conduct for many years. However, this particular code has been harshly criticized not only for being too restrictive, but also for limiting LAC employees’ ability to engage in professional development activities and in interactions with the community – both of which are hugely important for an organization that provides a unique service to the public and to the entire country. I can only guess that the LAC “code of conduct” didn’t receive too much media attention because in some ways it isn’t news. Unfortunately, it is just the latest in a series of restrictions that the federal government has placed on researchers that it employs or whose work it funds. And the media’s attention might also have been distracted by another story illustrating the federal government’s disdain for research: namely, Statistics Canada releasing the first results from the voluntary survey that has replaced the mandatory national census. Not surprisingly, as Canada’s former chief statistician points out, the voluntary data are much less reliable than the mandatory data, because of lower and more irregular response rates – a problem that will only get worse every time the voluntary survey is used. I’ve written several posts before about how Canada’s federal government should be ashamed of the ignorant and short-sighted way it treats research. Maybe Caron’s misadventures at LAC aren’t much of a surprise, since he was appointed by a government that wants to manipulate the country’s official history to support its own interpretation of events, and that shows a remarkable ability to ignore data that doesn’t fit its own version of reality. But I have to say that, even within that context, I find the events at LAC particularly troubling. Anyone who has done archival research at LAC knows that its archives contain material which, if it wasn’t at LAC, could very easily have been lost or destroyed. LAC provides services that are simply not available anywhere else, and it has information that no other organization in Canada has. What LAC does is irreplaceable. And because of the way that historical materials get dispersed, even in the digital age, often if something isn’t acquired and archived when it becomes available, it’s gone. If LAC is not able to acquire material that other agencies can’t or won’t keep, or if it is not able to adequately maintain the material it already has, there is a great deal of potential for damage to our knowledge about ourselves and our nation. I’d like to think that a new LAC leader might be a step toward resolving LAC’s problems of the last few years. But if that leader is appointed by the current government, and has the same condescending attitude toward the importance and impact of research – well, I don’t have much hope that things at LAC will get much better any time soon.